Acne is a chronic problem that usually occurs in adolescence. The main cosmetic concern in acne patients is unappealing blemish produced by active acne lesions and formation of hyperpigmentation and scars. In older days, it was suggested to acne patients that he or she should avoid cosmetics for fear of aggravation of acne lesions. But, nowadays, due to the availability of water-based cosmetics and increased awareness, cosmetics can be offered to those who desire cosmetics for camouflage and other purposes. Which Cosmetic Should Be Used in Acne Patients? If an individual has oily skin, then he or she should be advised to adopt a healthy cleansing habit and should try to remove cosmetics as soon as possible once the social engagement is over. Associated scalp seborrhea should be treated. Water-based cosmetics should only be preferably used. Cream or paste formulations should be avoided. Cosmetic usage should be restricted to necessary social engagement. Facial cosmetics, astringents, and toners containing more alcohol should be used on a regular basis. Even, sometimes use of non-comedogenic cosmetic products can cause acne aggravation, since individual susceptibility varies. 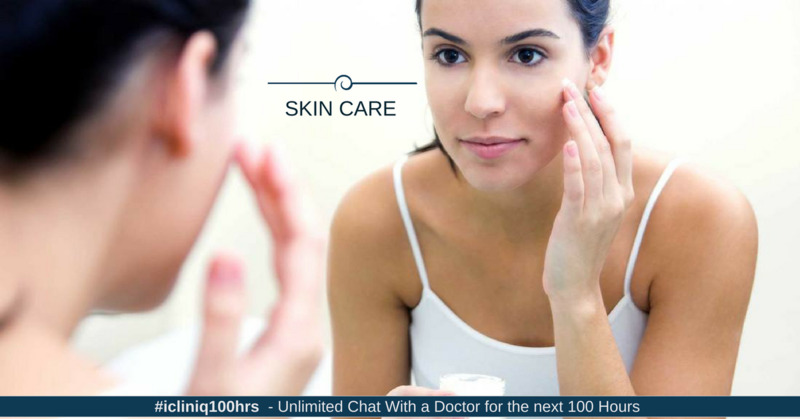 Skin cleanser, frequent washing of the face with antibacterial soaps, use of abrasive scrubber twice weekly is required to keep oily skin clean and dry. Cleansing creams and lotions should be avoided. Liquid foundations, which are oil-free or of low oil contents and with a matte or semi-matte finish should be used to cover blemishes and uneven facial colors and scars. Facial powder transparent or loose powder available in tones of pink, yellow or brown, which absorb oil can be used alone. Moisturizers are recommended for combination skin like if an individual has dryness of outer zone of the face. Depending on the degree of dryness, oil in water or water in oil preparation is chosen for combination skin type moisturizer. Alpha hydroxy acid is helpful by doing peeling action on active acne lesions and reducing hyperpigmentation caused by acne scars. Do you have a question on Acne or Hyperpigmentation? Please suggest a cure for dark skin around pubic region.